Hello Friends…Are you in the middle of the hustle and bustle of the Holidays? have a major distraction on my hands this week with the burglary! So I guess I can’t beat myself up to bad about it. My son turns 21 on the 22nd of Dec. and needless to say I am not ready for that either…emotional or physically…LOL! Where did the time go? I can’t believe it! My son is my ultimate joy and will be home tomorrow night from college! Woohoo! Can’t wait! Anyhoo, your not here to listen to me whine or talk about my son now are you? Today’s post is also something I created a few weeks back for the December issue of Die Cut Crazy magazine. you would have to buy it to see those…wink wink, however, I will show you a few of them! Here is a link to the on-line magazine if your interested. This app is designed for both iPhone and iPad. I had the best time making this Mixed Media Door Hanger. Once I get my nerve up to start MM I really do enjoy it! It all started with a piece of cardboard, card stock, tissue paper, Modge Podge, and acrylic paints. Then I took some of my stencils that I have had FOREVER and had some fun with them. 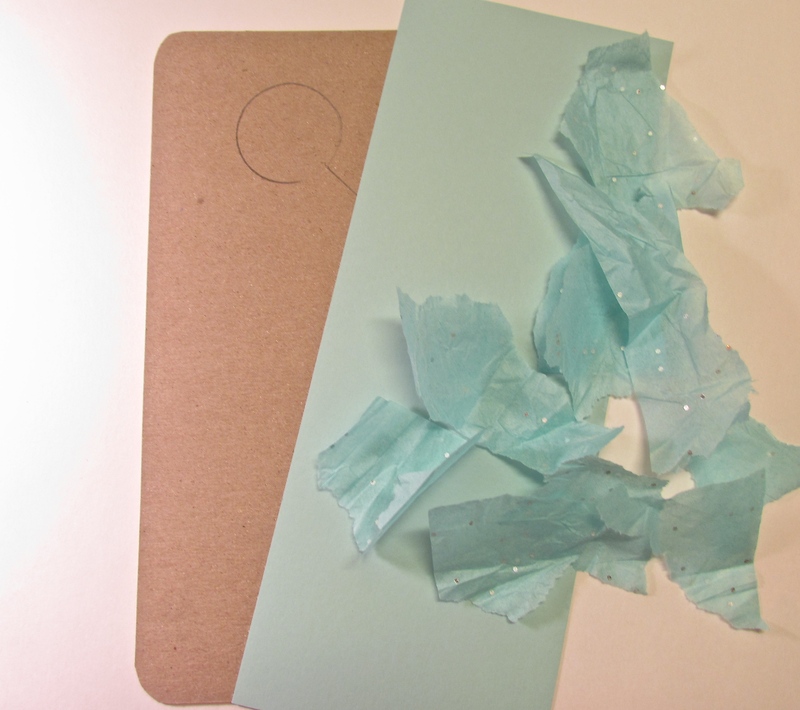 I am entering this project over at the Mixed Media Color Challenge. 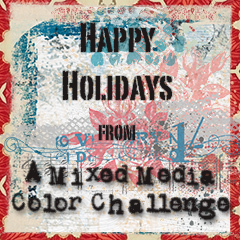 Their challenge is to use whatever colors inspire you to create a holiday mixed media project. It’s not to late…you have till Dec. 17th before the challenge ends. Holiday Season take sometime for yourself and be creative! It’s good for the soul! 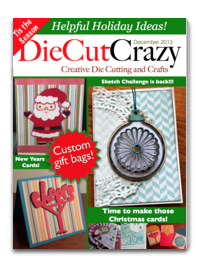 Categories: Die Cut Crazy Magazine, Other | Tags: Christmas, door hanger, Holiday Decorations, mixed media, rubber stamps, stamping | Permalink. Nancy, first of all I love reading about your love for your son. Sons are amazing, I have one of those to, older than yours, Aaron will be 41 Dec. 15th, where did those years go. My daughter will be 43! That white hair you see in my picture, is absolutely natural! Any way I got distracted. Your door hanger is beautiful, I love the colors and all the pretty embellishments you added. It’s glorious! Thanks Barbara…you are the sweetest that is for sure! My son is a gift from god indeed. Thanks for making my day! Yeah it’s been a tough week and if you scroll back 2 posts you can read the entire story ..very very scary and could have been so much worse! Thanks for commenting and stopping by! Your winter project is certaily stunning! I love all the ornaments and the way you blinged them up. And, great background as well. Wow, Nancy, I love this, You did a great job with the mixed media. The colors are very pretty. This is so beautiful! I love all of the detail you have added to it and that glorious color! 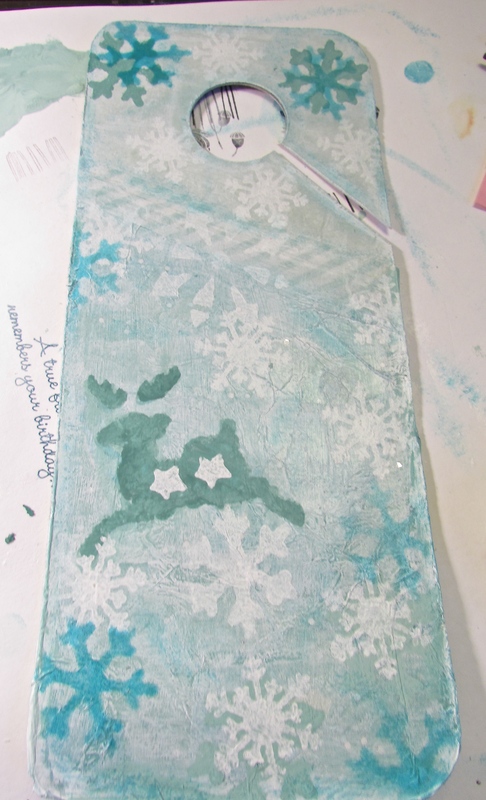 Nancy, your BG is so FAB with the colors and the tissue and the stenciling! WOW! And the ornaments and bling are the perfect focal point! LOVE it! THX for playing with us at A Mixed Media Color Challenge! 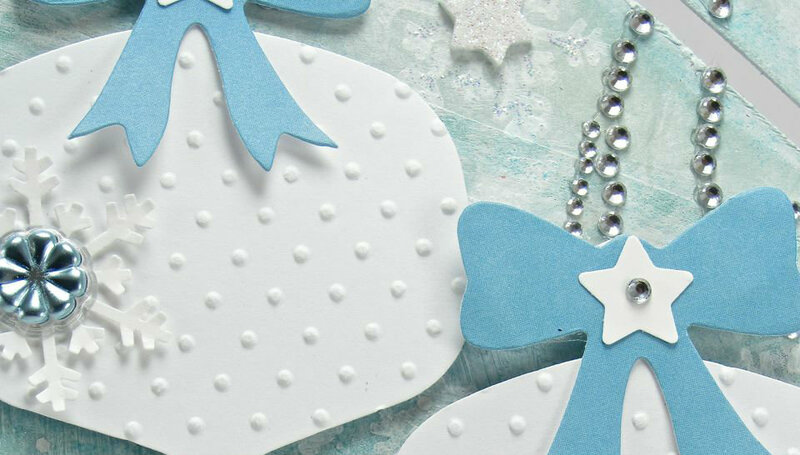 LOVE your tag – so pretty! Beautiful Nancy! Love all the layers and pretty color scheme! Thanks so much for joining along with A Mixed Media Color Challenge!